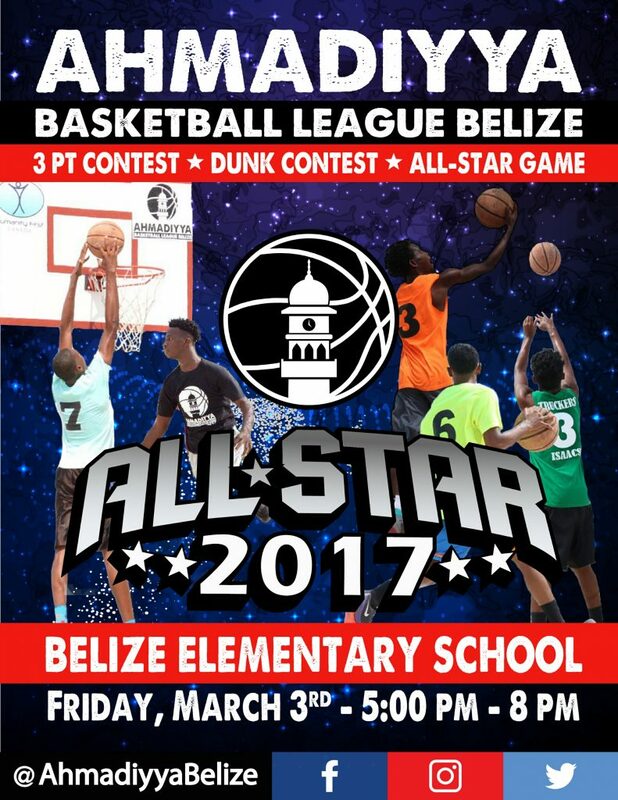 Ahmadiyya Basketball League Belize invites you to it’s All Star day this Friday March 3, 2017 at Belize Elementary from 5:00-8:00 PM. Dunk, 3-point Competition and All-star Game. Free Entry! All are welcome!